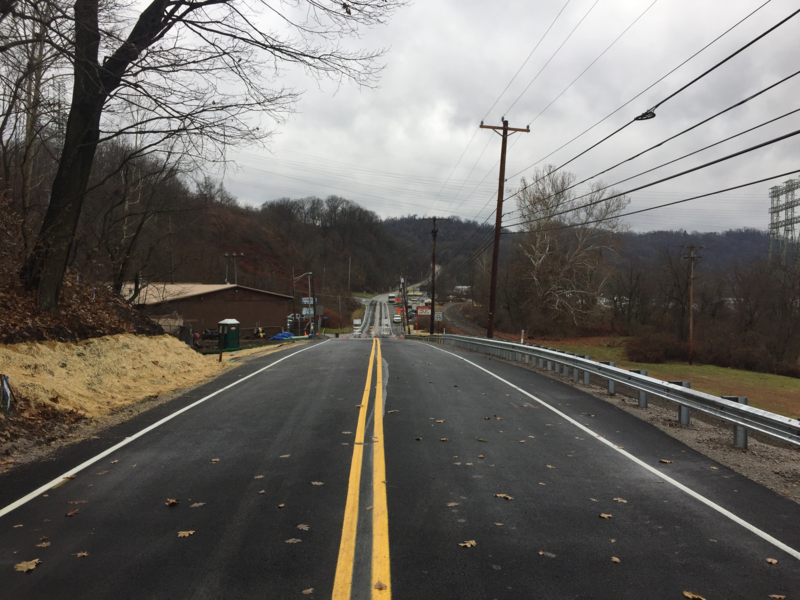 The Logans Ferry Road (Route 2075) bridge, which spans an Allegheny Valley Railroad in Plum Borough, Allegheny County, that’s been under construction as part of the Pennsylvania Department of Transportation’s Rapid Bridge Replacement Project, is complete and open to traffic. Replacement of the bridge allows PennDOT to remove it from Allegheny County’s structurally deficient bridge list. The bridge reopened to traffic on Tuesday, December 5. Replacement work was performed by Allison Park Contractors, Inc. of Gibsonia, PA. The bridge was closed on October 2 for the replacement project. The project team was able to expedite construction and complete the project 11 days ahead of schedule.